Being a newly natural beauty and totally loving my TWA, accessories have become my new best friend. I mean from headbands to scarfs to BIG earrings I got it covered. Well I least I thought that I did. And then I discovered the love of silk flower bows. So if you haven’t quite mastered the bow making craze that is going on, this is a great tutorial to add some color and fun to your hair without breaking the bank. Easy enough, right? So lets get started. First pick out any kind of artificial silk flowers you like. The flat-ish versions seem to work best. 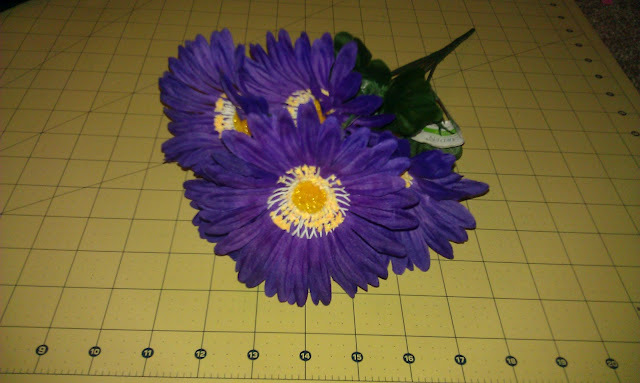 The flowers that were used in this tutorial are large Gerber Daisies. Time for decapitation! Pop off the flower of your choice and pull the plastic green piece off the back. Now pull your flower off the little plastic stem thing. Important maintain the order of the petals of you liked what it looked like before. 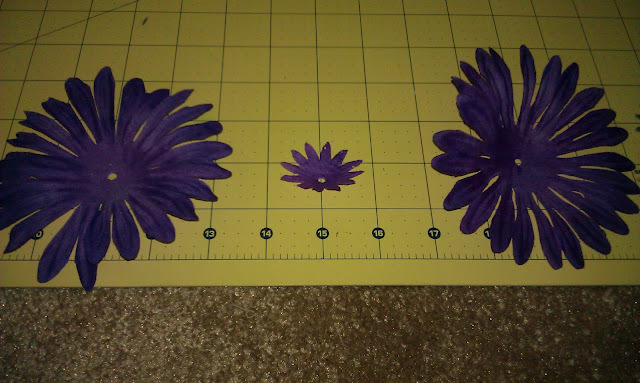 Starting with the petal that was on the bottom and make sure you align the holes! 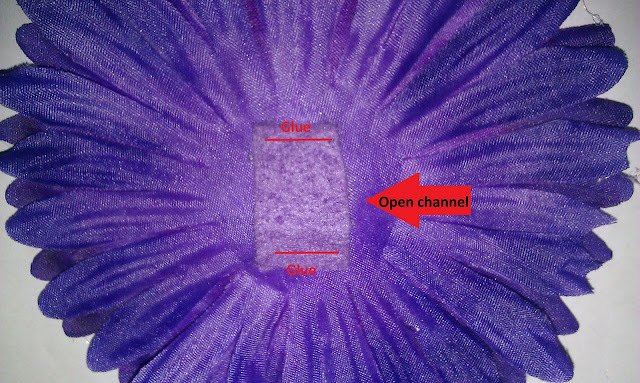 Dab some hot glue around the hole in the center and stack on the next petal. Hold for a count of 10. Repeat with all the additional layers. Working your way to the top, the (smallest) layer. Now It’s Bling time! 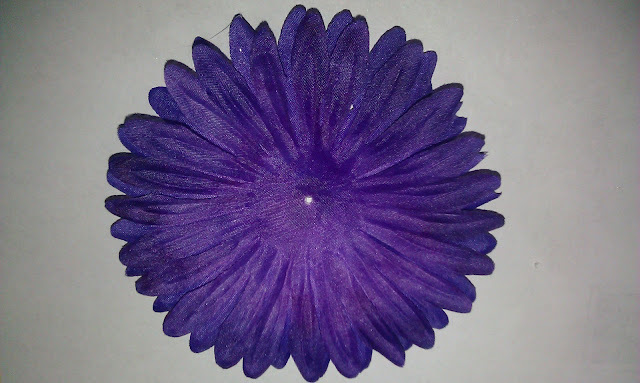 Choose an embellishment for your flower center. 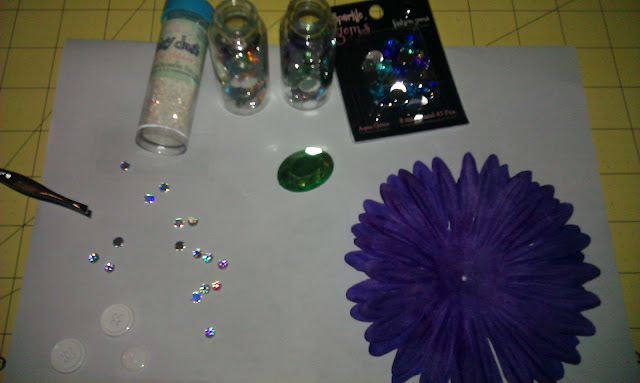 Buttons, gems, rhinestones, try anything! 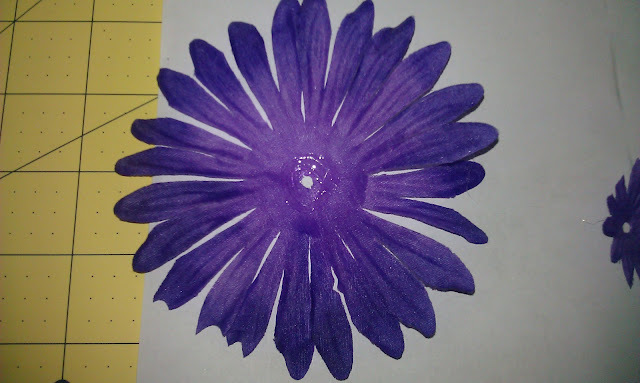 If you don’t have an embellishment, you can use the ‘center’ of the flower and that’ll give you a more ‘natural’ look. 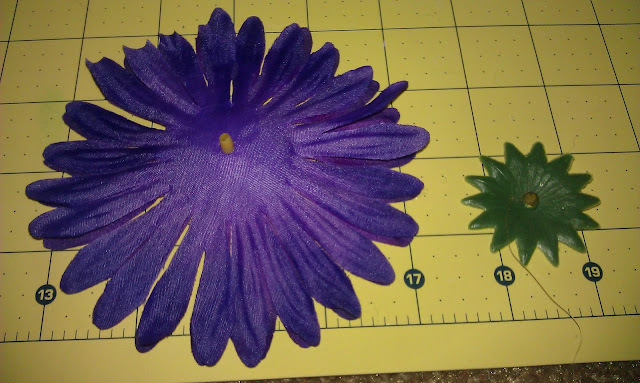 Take your embellishment and glue it in the middle of the flower. This tutorial gives you the option of being able to choose what you can use your flower for on a daily basis. It will look great on your bag, in your hair, on a baby hat or even as brooch. Rather than roping yourself into one way of using it. Glue down a strip of felt with a clear channel. 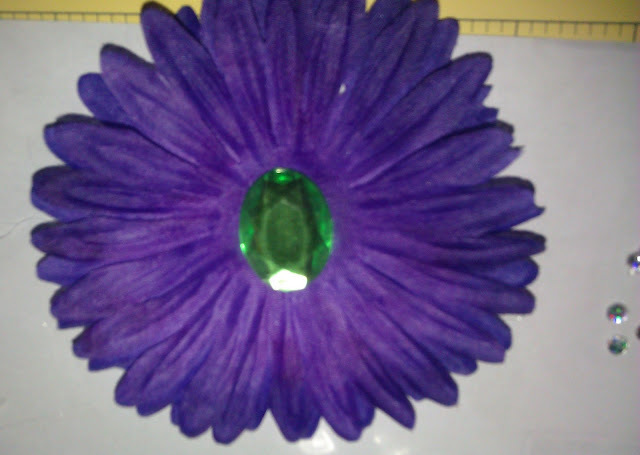 This will allow you to push a hair clip through it or pin it to whatever else needs a little daisy love! *DESIGNER’S NOTE – Not crazy about daisies? Then use any type of flower that you like. Mix & match colors. Be Creative but most importantly make it your own. If you would like a more fuller look, use two flowers instead of one. Posted on August 20, 2012, in All Things FABulous and tagged accessories, beauty, craft, DIY Monday, hair, silk flower hair bows, style, tutorials. Bookmark the permalink. 4 Comments.